If you own a high performance car that can only drive in the slow lane, you might as well have bought a bicycle. The same rings true if your Mac and high speed internet connection is hobbled by poor performance from Safari. Your experience on the information superhighway is dependent on the reliability of your browser of choice. If you find that Safari crashes or is slow, we’re going to show you how to eliminate these problems and get back in the fast lane. Put the va va voom back in your web browsing today! Surfing (the net) is great until you fall. 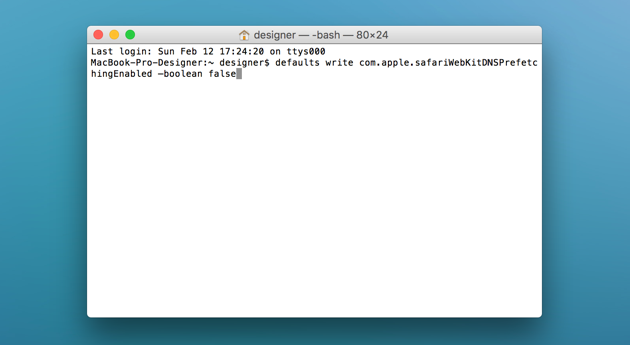 When Safari starts crashing, it’s clear that something is broken. Let’s do something about those common Safari crashes. Temporary data or browser cache is designed to make your web experience a faster one but it can, under some circumstances, hamstring your browser speed to a glacial crawl. Browser cache can become corrupted, and apart from privacy issues (more on that later) it can cause Safari to crash altogether. 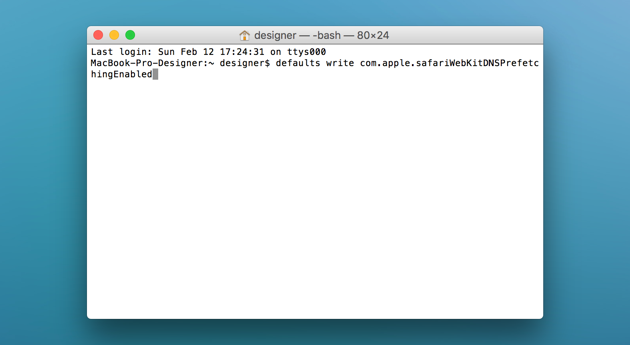 If you get a Safari crash, it’s important to take note of when and how it crashes. Does Safari crash on launch or does it crash when you visit a specific site? If you have a problem with one particular site, this is easy to fix. All you need to do is remove the site history of that site from Safari. If you are experiencing problems on a variety of sites, then you should try to clear all Safari browser cache. 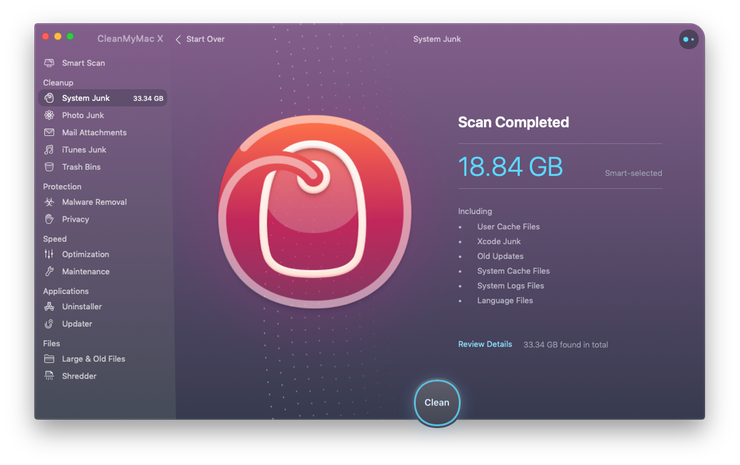 CleanMyMac X is free to download and try before you buy. Search suggestions in Safari can be a great help to speed up the process of finding what we want. But a common crash related to this feature was found to be stopping the search and Safari in its tracks. The Safari search bar crash, as it is known, has been addressed for some in updates. When Safari is operating optimally, you’ll hardly ever have to watch Indiana Jones and the Endlessly Rotating Multicolor Wheel of Doom. However, when Safari is not responding, sometimes you just need to let it take a moment. It could be that a web page is loading a heavy script or your Mac’s resources are currently focused on another task. Is Safari still not responding? Patience won’t solve everything. Without regular maintenance, your browsing experience can gradually slow down. Poor maintenance and bad habits can even push your Mac’s resources to the point where slowness becomes a regular part of your browsing experience. If that sounds familiar, it’s time to fix Safari. One of the easiest fixes is to close Safari tabs that you don’t need to use. That’s just common sense, right? It is, but we all know at least one person who seems to be on a mission to set a world record for having the most tabs and windows open. The trick is not to be that person. Each window and tab compete for resources on your system, so closing what you don’t need is the easiest way to improve Safari performance. But what if you want to read a site or page later, but you don’t want to bookmark the site? No problem – just add it to your reading list. This will store content that you would want to read offline later. In Safari and other apps, click the Share menu and choose Add to Reading List. You can also right-click on a link and choose Add Link to Reading List, or hover over the address bar and click the plus "+" icon. Navigate to Safari’s sidebar, then click the "reading glasses" icon. The point of all of this is to make sure that Safari’s performance isn’t bogged down by having too many open tabs. If you are someone who efficiently manages their tabs yet Safari still crashes, lags or freezes, you should disable DNS prefetching. DNS Prefetching is a feature designed to make surfing the web faster by scanning over embedded web page links and querying your DNS server to resolve each link to its actual IP address. Ironically, a feature that is designed to make your browsing experience faster can actually weigh down performance. If Safari lands on a web page with hundreds, and sometimes thousands of links to resolve, the process could freeze Safari. If you revisit the site that had been giving Safari problems and the performance is improved, then the solution worked. However, if there is no noticeable performance boost, it would be a good idea to enable DNS Prefetching and rather troubleshoot other areas. Data collection on the internet is a scary thing. We’re going to show you how to use Safari privately and securely. From clearing of browser history to the removal of cache and cookies and a whole lot more, follow these easy methods. Cookies by themselves are not actively intrusive on your privacy; however, they store data in ways that can be used for user profiling and website tracking among other things. While cookies make the browsing experience faster, and the web experience more dynamic, some users may have privacy concerns. Similarly, autofill forms can be quite scary. When you’re typing in a field or form on your browser and Safari reveals suggestions that you really wish it didn’t know, it’s time to clear away the autofill data. 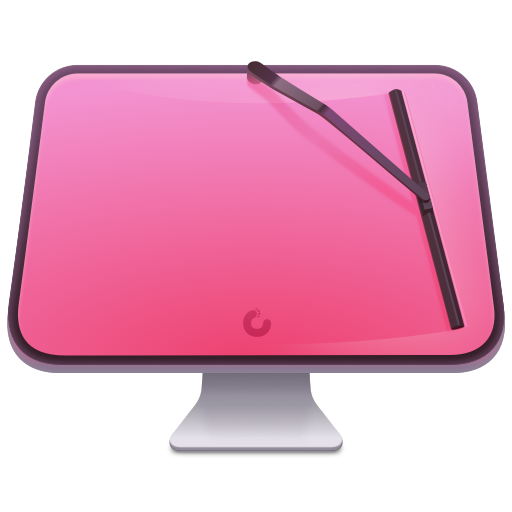 To clean away all of your Safari tracks, from cookies to browsing history and even autofill, you can turn to CleanMyMac X. Once launched, simply click on the Privacy tab and select Safari. Now you can easily choose what browsing data to delete from your system, all from one convenient window. Keeping your privacy intact is as easy as that. If you’d like to stay off the grid, Jason Bourne, Safari’s Private Browsing option is what you should be using. Each tab in the window is isolated, so websites you view in one tab can’t track what you do in other tabs. Safari doesn’t remember the web pages you visit or your AutoFill information. Safari doesn’t remember changes to your cookies or other website data. To use Private Browsing with Safari simply choose File > New Private Window. 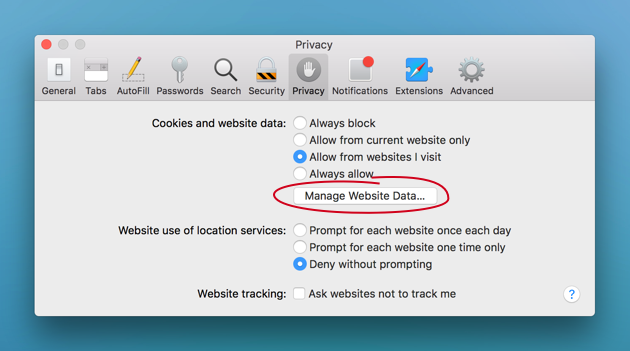 To make Safari open private browsing by default go to Safari > Preferences, click General, click the "Safari opens with" pop-up menu, then choose "A new private window." Did you know there are other search engines besides Bing and Google? With Safari you have four choices for your default search engine - Google, Yahoo, Bing, and DuckDuckGo. If you’re interested in privacy, we recommend using DuckDuckGo, which doesn’t track or store your personal information. 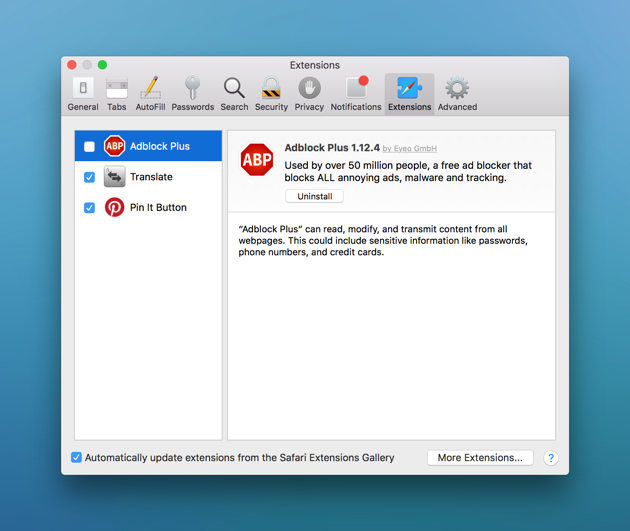 Browser add-ons don’t always add up to good experiences. 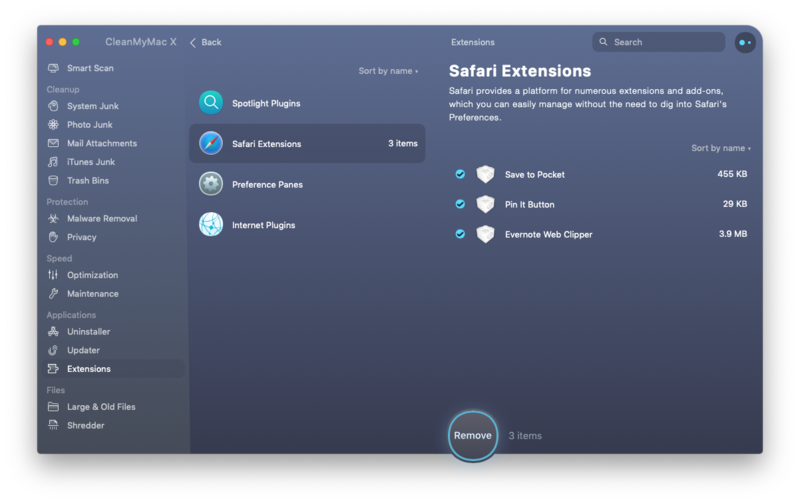 We’ll show you how to shed them to speed up Safari and eliminate a common cause of Safari issues. If Safari is still giving you 99 problems (but efficiency ain’t one), misbehaving extensions (also called add-ons) and plugins can cause Safari to be slow, or crash altogether. Safari extensions are developed to enhance your browsing experience, but they can sometimes have the opposite effect. In a worst case scenario, they can even contain nasty malware. To get a sense of the problem, trying launching Safari in safe mode (launch while holding shift). This will load Safari without any extensions and plugins. Does your experience improve? Then you’ve probably get a troublesome extension. Note - The best practice is to turn them all off and then turn each one on, one at a time, to see if you can identify the culprit. Flash is a browser plugin, but because it is often the cause of problems, we decided that it deserves its own section. Flash is pretty but high maintenance and it chows your browser and system resources. That’s why Flash is almost consigned to the dustbin of tech. Is Safari not responding? Did Safari crash? Flash is the first suspect that you should remove. Download the uninstaller from Adobe. Hopefully Safari is now working as it should. But you don’t have to stop there. 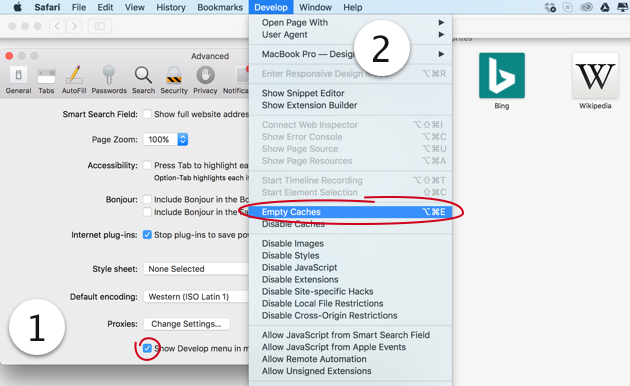 With some hints and tips you can get even more out of your browser by using Safari preferences to customize the experience. Toggle "Show full website address"
When you get a notification of something you wanted to know, it feels great. When you get a notification that you didn’t want to know, it feels annoying. To mute some of the more annoying sites simply turn them off in Safari > Preferences > Notifications. 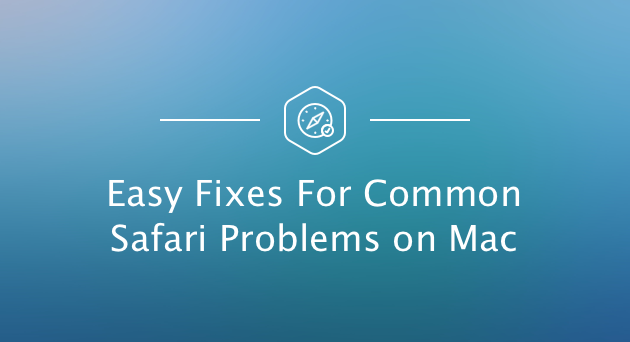 With these fixes to common Safari problems on Mac, your Safari experience should be drastically improved. When Safari is performing at its best, it makes for a great browser experience. We hope you feel empowered enough to know that next time Safari has an issue, you can solve it yourself. Or use a helpful app like CleanMyMac to save the day. If all else fails, you could always just use CleanMyMac’s Uninstaller to reset Safari and start from scratch. Not so much "saving the day" as "starting a new day." How to clean up Mac?